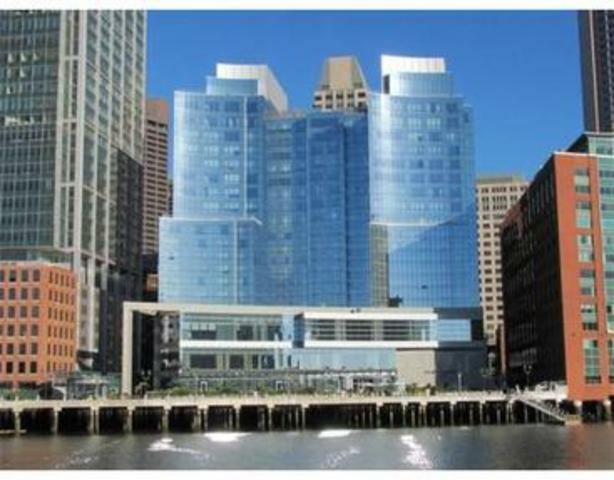 The InterContinental is located on Atlantic Avenue and is part of the Boston HarborWalk. A team of talented developers and designers—Extell Boston Harbor LLC, Howard Elkus of Elkus/Manfredi Architects, and Celeste Cooper of The Orpin Group—worked on the InterContinental to build the ultimate luxury residences in the city. Residences, ranging from studios to 4 bedrooms, are designed to meet your needs. After entering the residence through oversized mahogany doors, you will immediately feel at home. 9’4” floor-to-ceiling windows in many areas not only bring in natural light, but also give you access to amazing views of either the waterfront or city skyline. Variegated walnut-stained hardwood floors throughout the residence create a warm and inviting ambiance. Chef-grade kitchens are completed with top-of-the-line stainless steel appliances, including a Subzero refrigerator, Wolf gas cook top, and an Asko dishwasher. Granite counters with a full backsplash and custom-built Rosario cabinets add elegance and make the space fully feel unique. Bathrooms are designed to ensure that you achieve the most peace of mind and relaxation as possible. Features include floor-to-ceiling St. Croix limestone, custom wood vanity with white Thassos marble, and wall mounted faucets and fixtures. To make sure the master bath truly feels like a spa, a glass shower and Kohler Maestro soaking tub are included. One of the main benefits of living in the InterContinental is the full services and amenities that are available to you. These include a full-service concierge, maid services, babysitting, pet care, dry-cleaning and laundry pick-up, and valet parking. You also have access to a fully equipped fitness center, lap pool, and 3 restaurants (Brasserie Provecale, Teq, and Rumba). With over 60 years of hotel service experience, the Inter Continental staff will exceed your expectations.